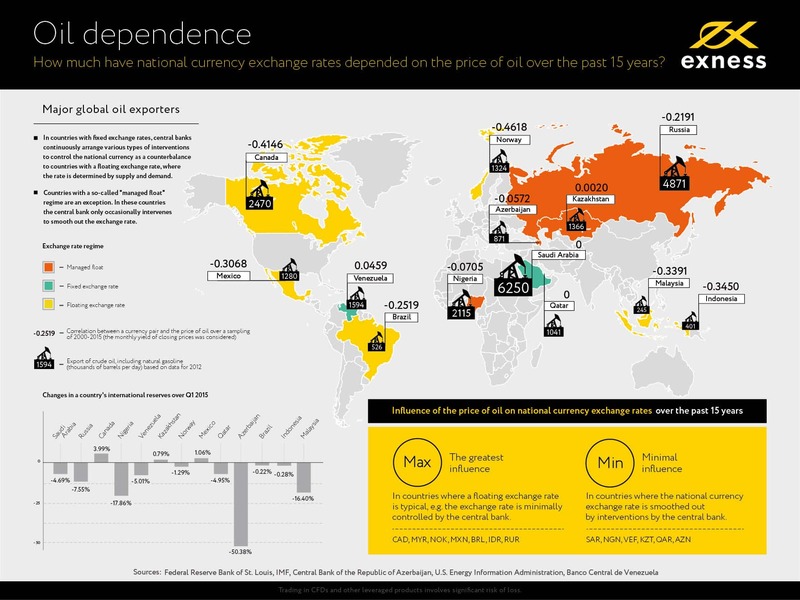 Here are the results of a study of the influence of the price of oil (Brent) on exchange rates, which was conducted in May 2015 by EXNESS analyst Sergei Kochergin. The study includes the world’s largest exporters of crude oil: Saudi Arabia, Russia, Canada, Nigeria, etc. For each of these countries, they present both the changes in the country’s international reserves as well as the correlation between the currency’s yield and the price of oil.